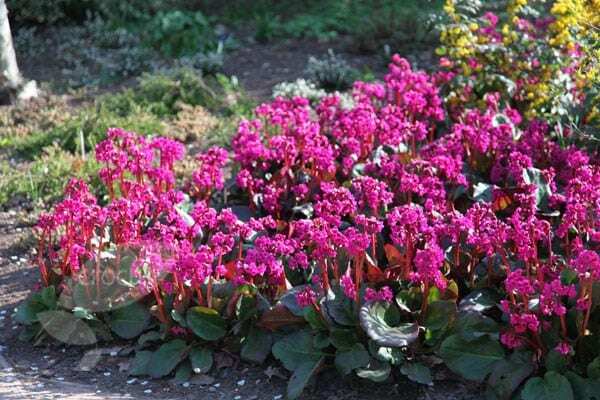 Commonly known as elephant's ears, because of their large, leathery, oval leaves, bergenias have become fashionable again, thanks both to the number of new cultivars that have become widely available and to their usefulness in the garden. 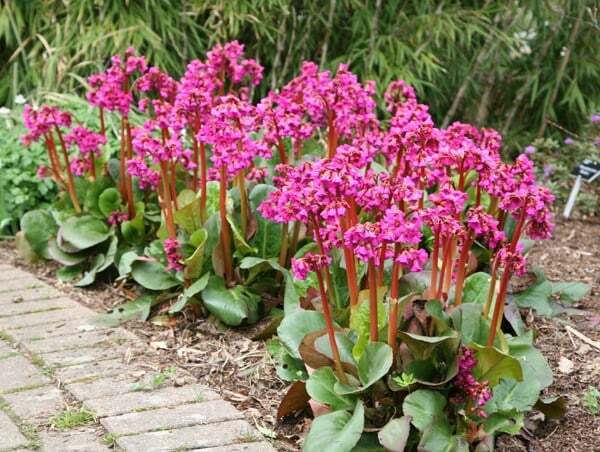 Bergenias are low maintenance, evergreen, will grow in sun or shade and tolerate a wide range of soils, including dry soils and clay. They make lovely edging plants, their huge leaves contrasting with the delicate fronds of ferns (in shade) or the tiny leaves of thymes (in sun). 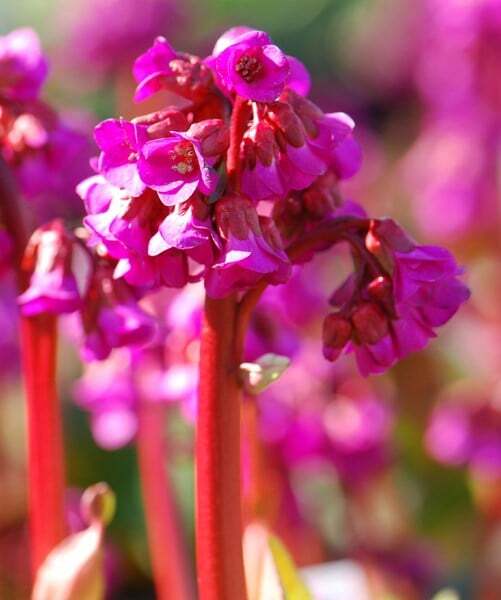 This is a particularly attractive cultivar with striking magenta-red flowers that are held high on scarlet stems above the foliage in mid spring. A cold snap in winter will turn the leaves from deep green to a rich claret. Just what I wanted and are establishing well. They turn a beautiful dark crimson in cold weather, so provide interest in winter. They go well with my Cornus stems and hellebores. Borders, cottage gardens, etc. Another good, strong plant & very well packed for delivery.